In cooperation with the Mildred-Scheel-Haus, CRM has already been able to identify extracts from a large number of native macroalgae that inhibit the growth of certain cancer cell lines. In collaboration with four other cooperation partners from industry and academia, the structure of the active ingredients and the underlying mechanisms of action are now to be researched in more detail. In addition to the usual in vitro assays, innovative methods of genome and metabolome analysis are available in the newly formed consortium to elucidate the mechanisms of action. The large number of planned tests with preclinical relevance should ultimately provide a pharmacological, toxicological and application-relevant description of the active ingredients of selected extracts of native macroalgae. The economic goal of the AAC project is to summarize project results for the sale of patents on one or more drugs that might be suitable for cancer therapeutics. 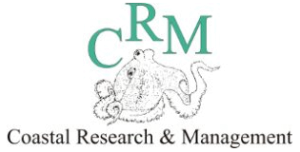 CRM is project manager and thus responsible for the project coordination, the summary of the project results and the project presentation.